Buzz of Salman Khan’s wax statue at London’s Madame Tussauds mueseum has been going around for a while. Here is the end result of whole excercise. 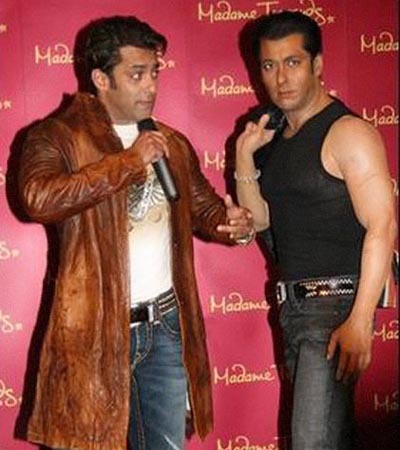 Real Salman with a waxed Salman.